This post is a rather trivial post, but I just wanted to create a reference that you could use if you are in doubt on which distribution could work. Also I have some other blog post planned for which this would serve as an excellent start guide. "Any storage directly attached to, or mounted on a Linux server (x86 and x64 of all major distributions are supported, must have SSH and Perl installed). 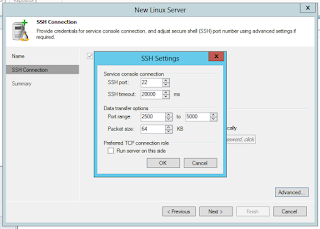 The storage can be local disks, directly attached disk based storage (such as USB hard drive), NFS share, or iSCSI/FC SAN LUN in case the server is connected into the SAN fabric." 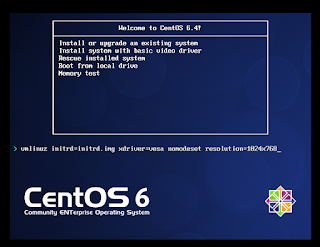 So I decide to test just a major distribution CentOS. The good thing is that they have a minimal version which only installs the bare essentials. 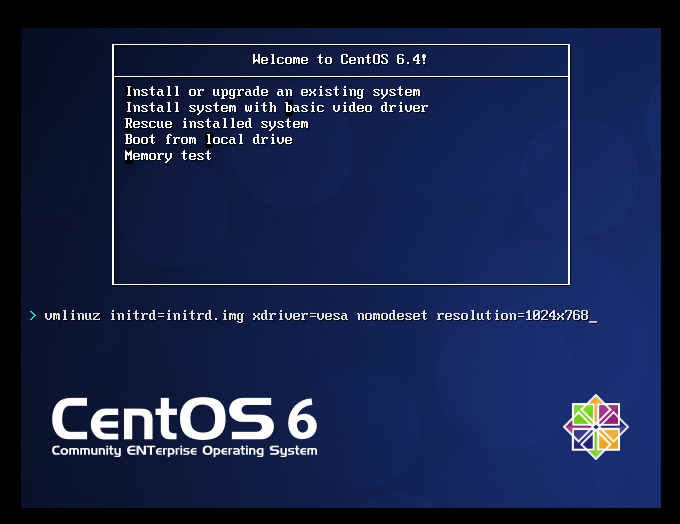 In this post, I used "CentOS-6.4-x86_64-minimal". When you boot from the CD you can just go through the installer which is pretty self explanatory. Thus I'll only discuss some of the steps. At boot I like to tab and add the kernel parameter resolution=1024x768. I've noticed that on a virtual console you are missing part of the screen if you do not do this. I advice you to set the network settings via the gui. You can do it afterwards directly in the config file but it takes a bit more time. 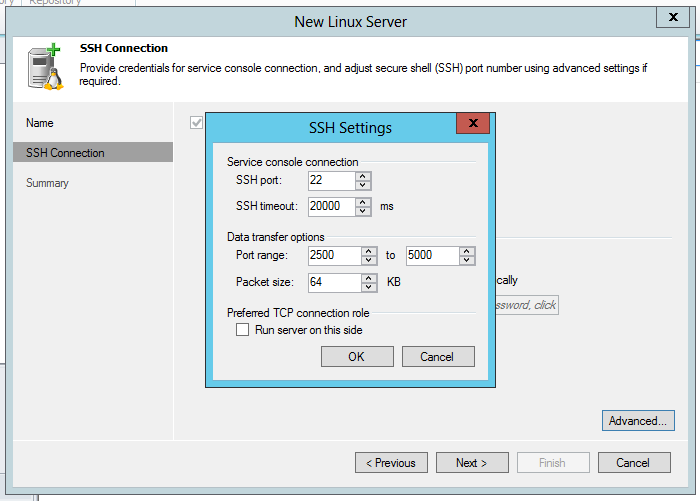 I also enable connect automatically, so that after the install, I can ssh directly to the new server. 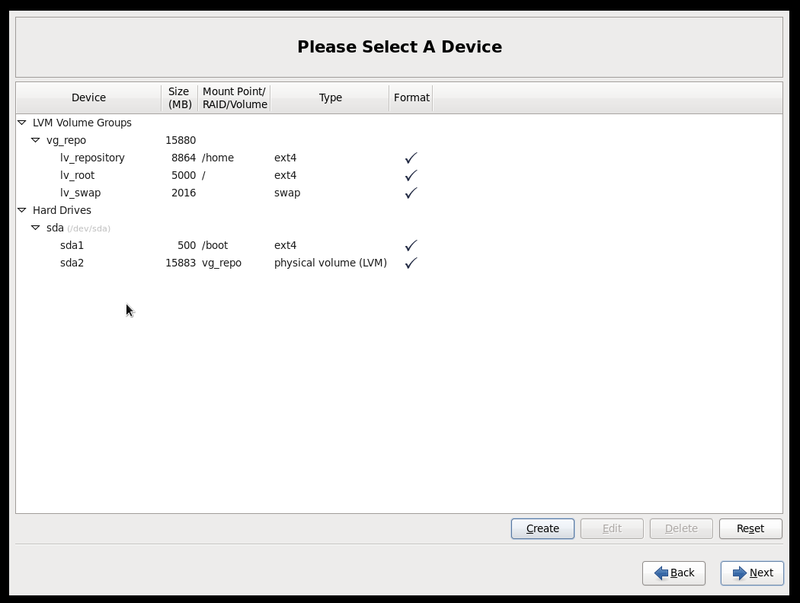 For the storage option, select review and modify in the bottom left corner so that you have more control. 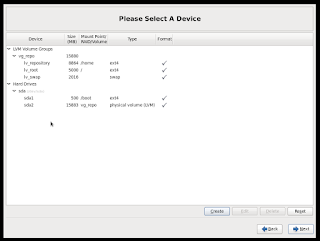 In this step you can see that I downsized the root vol (/) to only 5GB. You will see that this is plenty. In fact I think even 3GB would suffice. I created another vol (/home) to store all the backups in. 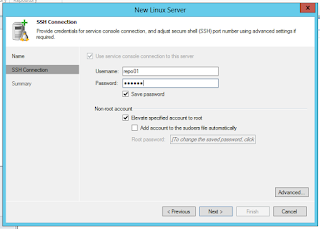 When your installation is configured it should only install a couple of packages and then you are ready to go. If you install it in a VM, for a test, this is the moment you can install VMware Tools. I have this oneliner for installing VMware tools. 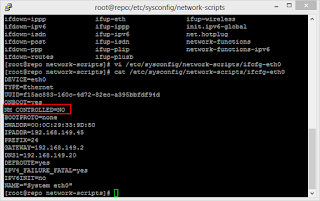 The easiest way at this point (so that you don't have to install extra components) is manipulating the iptables file directly. 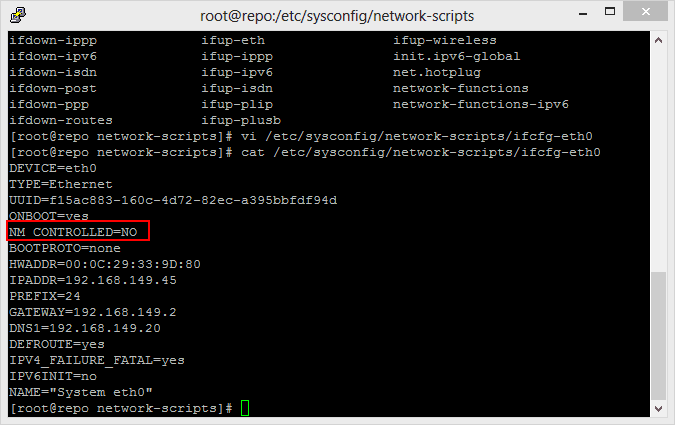 Just use vi to edit "/etc/sysconfig/iptables" and add the following line between "ssh (--dport 22) " and "-j Reject". The order is important! 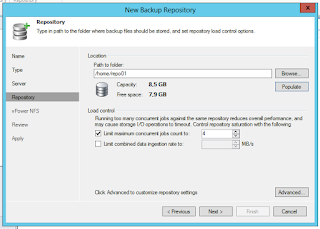 For this tutorial we will create a separate user for the repository. Of course since you allow the user to elevate to sudo it is not 100% secure but it offers a bit of seperation. If you want real seperation, I advise you to create multiple systems or multiple chroot environments. In the following step, we will create a group repos. 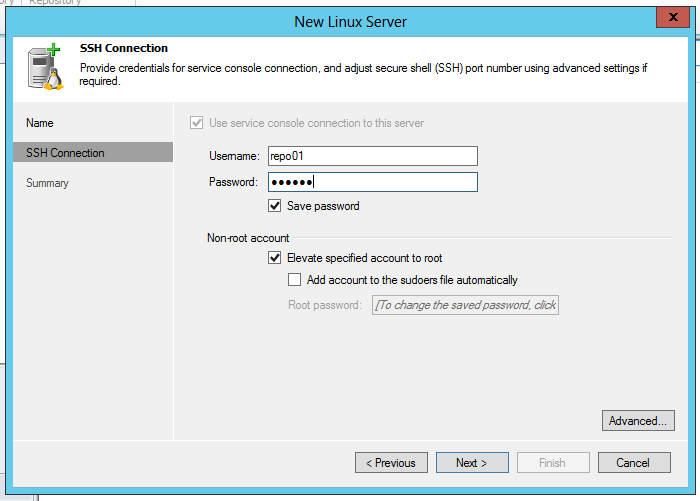 Then we create a user repo01 that is part of this repos group and change the users password. Finally we add the repos groups to a sudoers file so that you don't have to modify the original file nor do you need to allow Veeam to manipulate it. 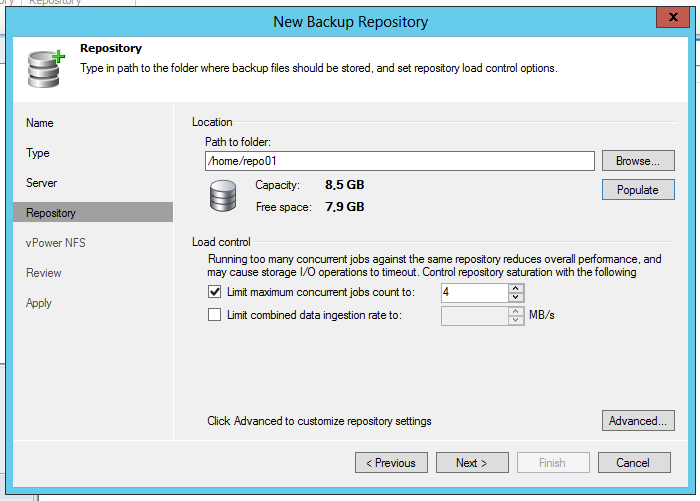 In the repository step, I just used the home folder of repo01 so that the backups are stored nicely in this separate container.